OOP is not in all languages. Have you used one that does not? I have used Perl (professionally), C++ (p), Python (academically), PHP (a) and Java (a) which are all object oriented. What was your experience? How extensively have you used OOP outside of the classroom? When programming for Perl I rarely (if ever) used the object-oriented aspects of the language. While using C++, on the other hand, I used objects constantly as the tremendous need for reusing code across multiple applications and data stores. These were used for very different purposes and to very different scales. Often OOP is oversold as a solve-all solution - to the extent that Java forces you to think of everything in terms of objects. Are you experience with UML diagrams and do they help? 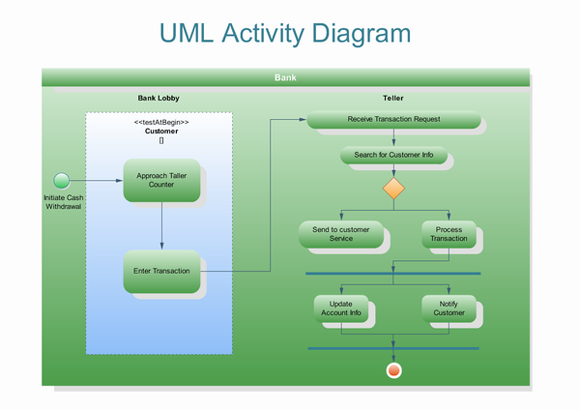 UMLs are essential for any application. I have worked with UMLs ranging from sketches on napkins from late night meetings at bars to multi-level digital UMLs including responsibilities, interfaces and class diagrams. The UML is your road map to building any application, it's importance only grows as the workload of developing a larger application is shared among more than one person. Update your learning journal from what you experienced this week with class. We created an OOP class, used constructors & overload methods, used arrays & ArrayList and implemented static methods & static variables.